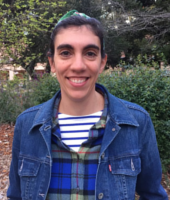 Sara has recently joined SRI, she holds a MSc in Physics by the Universidad de Valladolid, Spain. Previosuly she worked as Python Developer at Stanford University, Psychology Department and as Web Developer at the Institut d'Astrophysique Spatiale, CNRS in France. She will be applying her experience in neuroscience and skills leveraging the acces to data at the different projects that constitute the SIBIS platform.